"He earned nominations for “Best Chill Out Artist” and “Best Chill Out Track” at the 2010 awards, and 3 best track awards at the 2012 Beatport Music Awards. More recently, after posting a clever remix of Zeppelin's “Stairway to Heaven”, he shot to number 1 on HypeMachine in a matter of hours, and has been since appearing in the site's 'popular' top 10 chart with every new release. 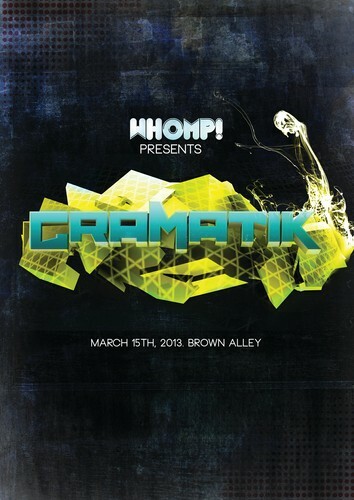 Within the US, it’s been a huge year of growth for Gramatik, performing at festivals across the US and alongside labelmate Pretty Lights, including epic sold out shows at Red Rocks." Supported by Damn Moroda, Kodiak Kid, Griff and more to be announced.